These days technology system improvements are not only about practical new functionality. It is also about making enhancements that help you to enjoy using the system even more. This is a new emerging specialty called User Experience Design (UX). UX is the process of enhancing user satisfaction by improving the usability, accessibility, and pleasure provided each time you use the product. Microsoft has made some nice UX improvements in Microsoft Dynamics 365 Version 9 Customer Engagement Apps. These changes are consistent across Sales, Customer Service, Field Service, and Project Service Automation Apps. The changes apply to all the main application areas such as forms, dashboards, grids, dialogs, and the search screen. Customer data is grouped in easy-to-read containers that streamline data entry. The new style makes it easier to see empty fields, and the text wraps within fields to make it easier to read. Unnecessary white space has been removed on forms and dashboards. Sections for content now have defined borders with consistent spacing between sections. Empty containers have a helpful message and icon. New clipboard structure for the content is shown on all pages, such as forms, dashboards, and grids improves the visual hierarchy. You can customize the colors used for the clipboard on page and panel header. Use of standardized fontsgive a more consistent look and feel. Tabs, buttons, and input fields on forms have been redesigned to give a more intuitive user experienceand help users be more productive. Long text labels and values are wrapped when entering data on a form.Admins can control word wrap in the system level settings. Sub-grid header color can be customized at the form level. Advanced find now has the option to build a NOT INquery with a does not contain data For example, users can query for all cases that do not have a related task. Download the Microsoft Dynamics 365 Spring '18 release notes. 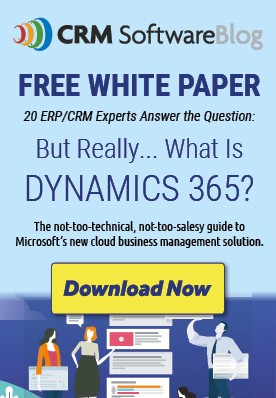 Of course, something else that will improve your enjoyment of using Microsoft Dynamics 365 is having it set up correctly, by a company that understands your team and your unique requirements. For over a decade the team at Crowe CRM has been helping companies to improve their CRM experience. If you are ready for a better CRM experience, contact us. Stand By To Schedule Your Dynamics 365 v9.0 Update! This website is as exciting as the Microsoft Dynamics 365. When will they get it? Font Size and spacing are definitely not improvements.